The application essay is a unique – and uniquely intimidating – piece of the college admissions puzzle. Beyond your grades, test scores, and extra-curricular activities, the essay is your opportunity to speak directly to the admissions committee about who you are, in 500 to 1000 words – in your voice and your words. It’s your chance to make a unique impression and to round out who you are beyond grades and scores. For stellar students, it’s a chance to show an interesting mind at work, reveal a backstory that isn’t otherwise apparent, and to present writing ability that’s important for success in college. For students with more of a mixed record, it’s also an opportunity to reveal your interests and perhaps explain your history and circumstances. My job is not to write and edit your essays, but to help you find your material, your essay subjects, your voice, and your words. I work with clients at every stage of the process, depending on your needs and your deadlines. We review the schools you’re applying to and attempt to winnow down the number of individual essays you will need. 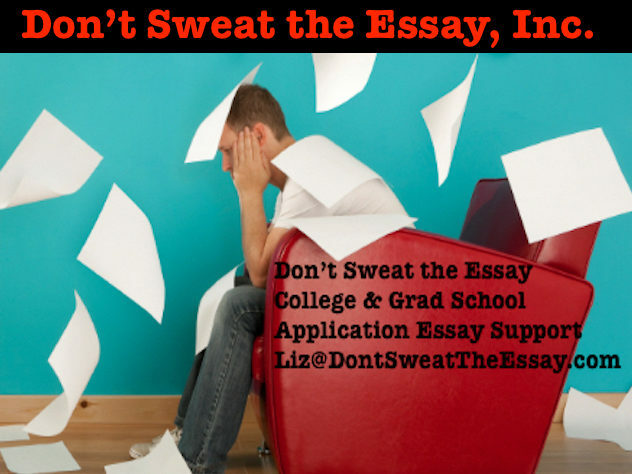 We review your application to make sure that the essay does not repeat information that’s presented elsewhere. In a brainstorming session, we will go through the essay prompts – usually starting with the Common Application or the other central prompts you are required to do – and locate your best material. I do not impose subjects on you; I work with you to find material that best represents who are you and how you want to present yourself to colleges. Once we’ve decided on what you’ll write, I provide a unique framework in which you can write organize, edit, and polish your essays. You’ll come away with essays you can be proud of, essays that present your best self to the world, and lifelong lessons in good writing.